The Tech Academy is a software developer boot camp that teaches students several in-demand programming languages. 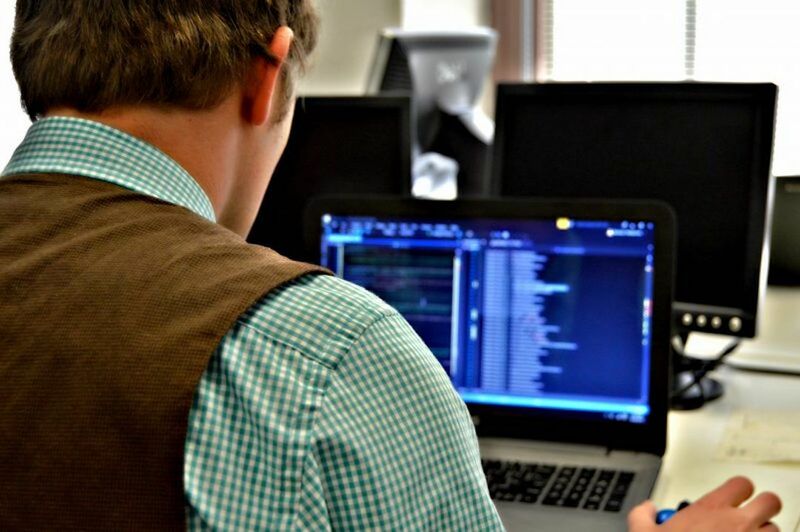 Students learn to code through real-world, hands-on software development training. Graduates of the program are well-rounded, full-stack, junior-level software developers that can code on the front-end and back-end. The Tech Academy is a licensed career school that offers multiple coding boot camps that can be taken online from anywhere in the world! Students can choose from learning coding online, attending in-person coding classes or hybrid training of both online and in-person training. The school has campuses in Portland, OR, Seattle, WA and Denver, CO.
Students of The Tech Academy have a choice between four boot camp tracks that include: the Software Developer Bootcamp, the Python Bootcamp, the C# and .NET Framework Bootcamp, or the Front-End Web Developer Bootcamp. These boot camps vary in length, cost, and course study. Part of what sets The Tech Academy apart from other coding boot camps is the amount of flexibility students have with their training. Students set their own study schedule, have the option of enrolling part-time or full-time, and can study online, in-person, or a combination of the two. The Tech Academy also offers open enrollment, meaning there are no set start dates or cohorts so you can start at any time. At the end of the program students participate in a Live Project and receive Job Placement training. The Live Project gives students the opportunity to work on a real-world software development project, that they can add to their resume. Once students have the knowledge and training, Job Placement teaches them how to build a technical resume, best networking and interview practices, and all the skills needed to have the best chance at getting a good job in technology. “My experience with The Tech Academy was great! Before starting The Tech Academy I had a BA in Biomedical Sciences and came to the conclusion that becoming a health care provider wasn’t what I wanted to do with my life. I then began looking into other fields that interested me and found that the tech field really sparked an interest. I was contemplating whether to start studying on my own or do a “boot camp” style course. I decided I wanted to take an online course, not only to keep me motivated, but also to learn programming in a way that followed a cohesive progression, and yet still have the ability to reach out to instructors for questions and advice. The instructors were extremely helpful, and most importantly, they made an effort to challenge my thinking throughout the different courses, which was something I really appreciated. The job placement course was also extremely helpful when I started the job search process. The university I had attended hadn’t given me any knowledge in how to actually land a job, and the Tech Academy taught me everything I needed to know. The job placement instructors are very passionate about what they do, and they worked with me to help me land a great job by prepping me in mock interviews and giving me valuable insight that I otherwise wouldn’t have know. After completing all of the courses, and spending a month searching for jobs, I found myself landing a paid internship at Microsoft." Learn more about The Tech Academy and get help starting your new career in tech today by visiting Learncodinganywhere.com!